You can view the results for assignments in classes that are not your own through the Tasks & Homework and Assessments sections. 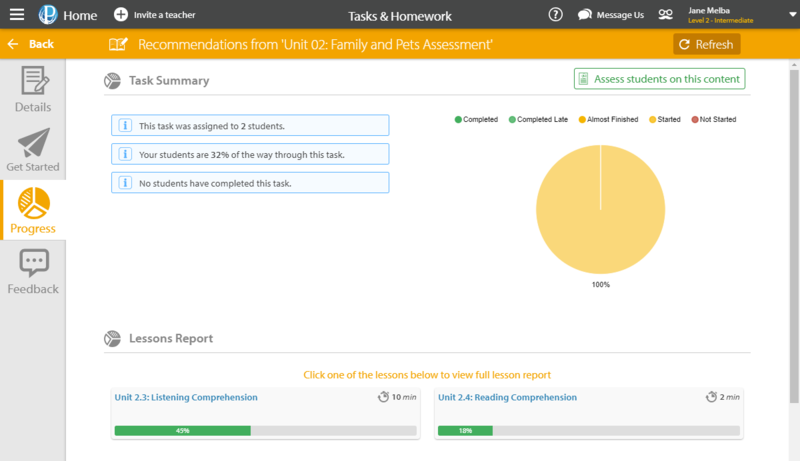 To begin with, open either the orange Tasks & Homework tab or the green Assessments tab, depending on which assignments you would like to view the results for. Once on the appropriate page, ensure the switch in the top-left of the page is set to All Classes. Here you will see a list of the assignments that have been set up for all classes at your school, presented in a similar format to how your own are presented to you. Select the class and navigate to the specific assignment you would like to see results for. Hover over the task in question and select Progress. Upon selecting Progress, you will be taken to a page with information on student achievements and a summary of class progress. You can scroll down further for a report on the achievement of each individual student. 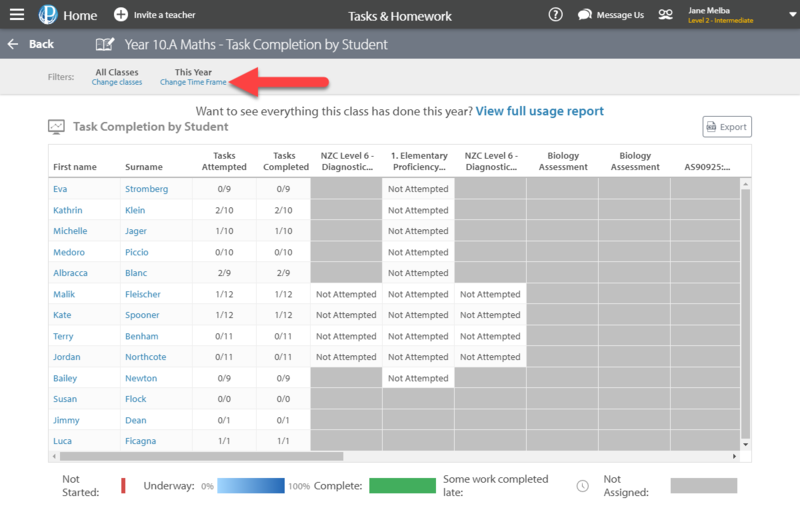 If more than one lesson has been assigned in a single task, you can click on a specific unit for a further breakdown. Hover over the assessment in question and select Analysis. 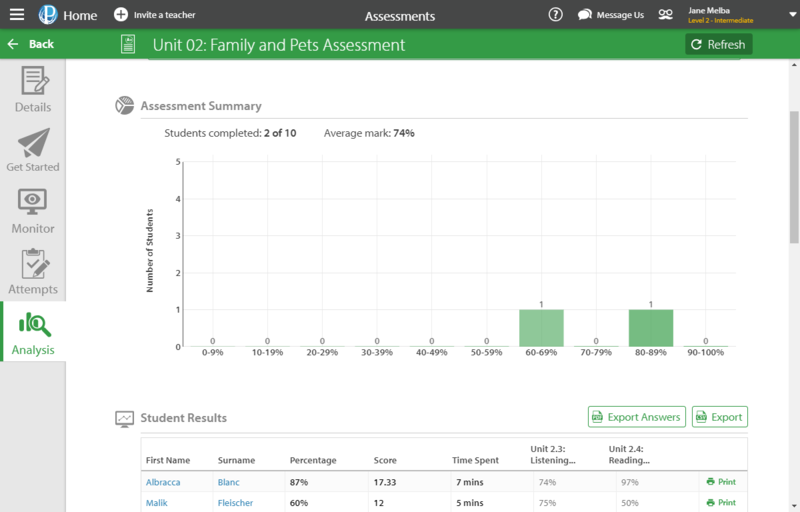 Here, you will find a breakdown of overall results and question responses for each student. You can also export each student's answers here. We store usage data for all classes that you can use to generate reports. Simply navigate to the class you would like to see wider analysis for and select Full Year Class Report. This will provide an extensive breakdown of the tasks or assessments (depending on which assignment you accessed it through) that this class has worked on over the year. This time frame can be adjusted by selecting Change Time Frame at the top of the page. Amount of tasks attempted and completed by each student. Which tasks have been assigned, unfinished, and completed by each student. Tasks that have had material finished late. 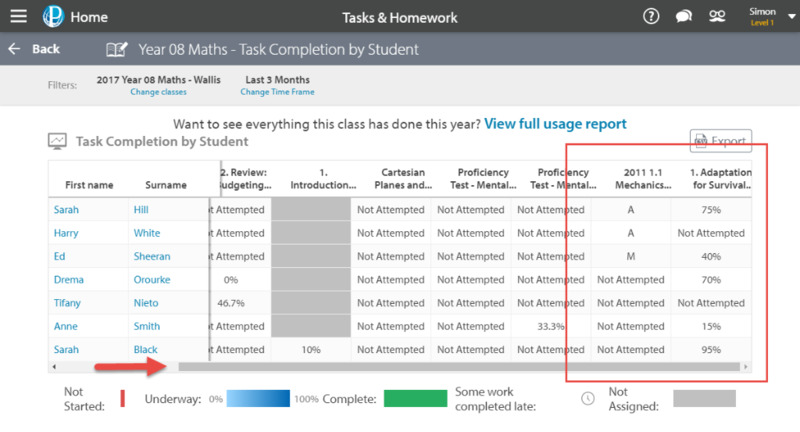 To view a full student usage report for the class, select View full usage report. To find out more about the Student Usage Report section and how you can use it for reporting, refer to our guide.